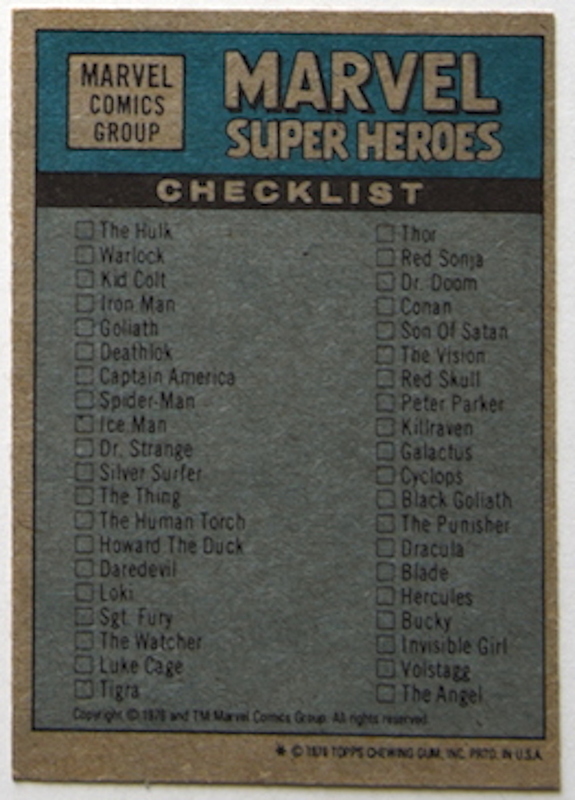 Description: This is the checklist card for this series of chewing gum sticker cards. 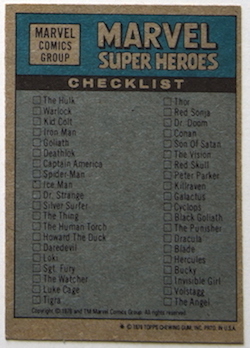 There are nine checklist cards with the same checklist on the back. 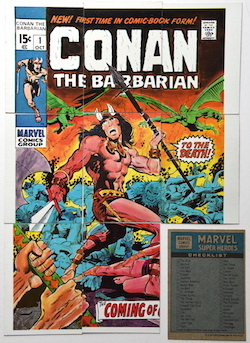 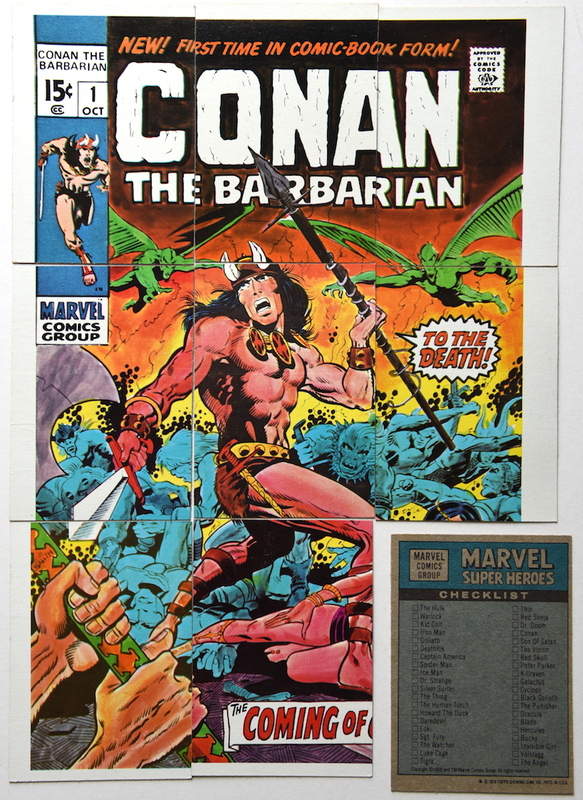 On the front is the cover of Conan The Barbarian number 1 cut into nine pieces for each of the nine cards.